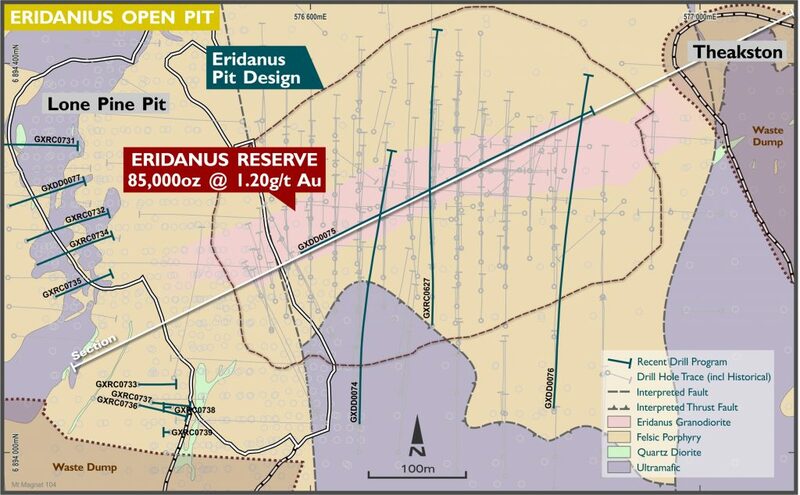 Eridanus is a new discovery (2017-18) and comprises of a large, low-grade felsic hosted stockwork style deposit. Gold mineralisation is associated with an east-west trending sericite-silica+pyrite altered granodiorite bound to the north and south by feldspar-phyric porphyry units. The deposit is located, between the existing Lone Pine and Theakston (backfilled) pits, 1.6km south of Shannon. Significant drilling and project development work was conducted during 2018. 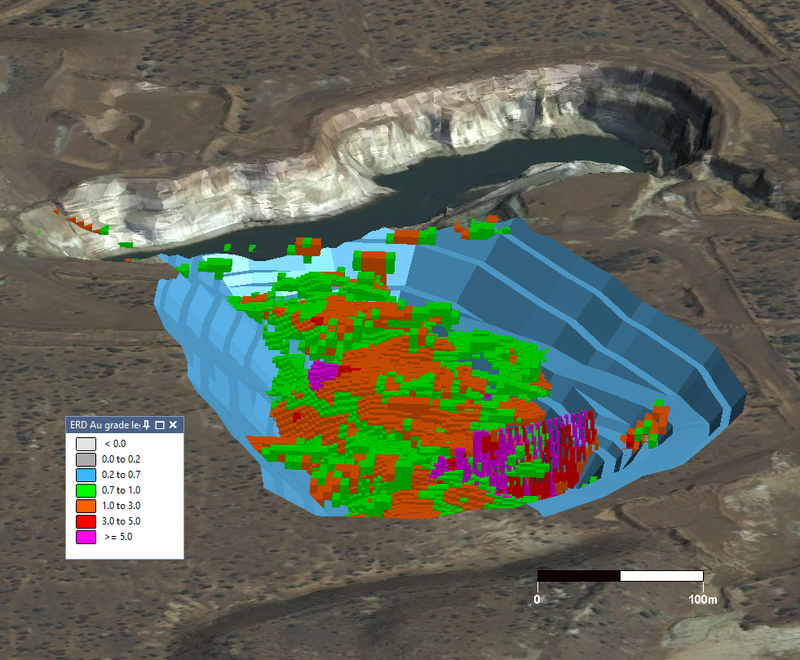 A large, low strip ratio, open pit contains a Probable Ore Reserve of 2.15 Mt @ 1.2 g/t for 85,000 oz. West-east cross section of GXDD0075 showing broader mineralised zones, quartz vein abundance and quartz veins with visible gold within the Eridanus granodiorite. 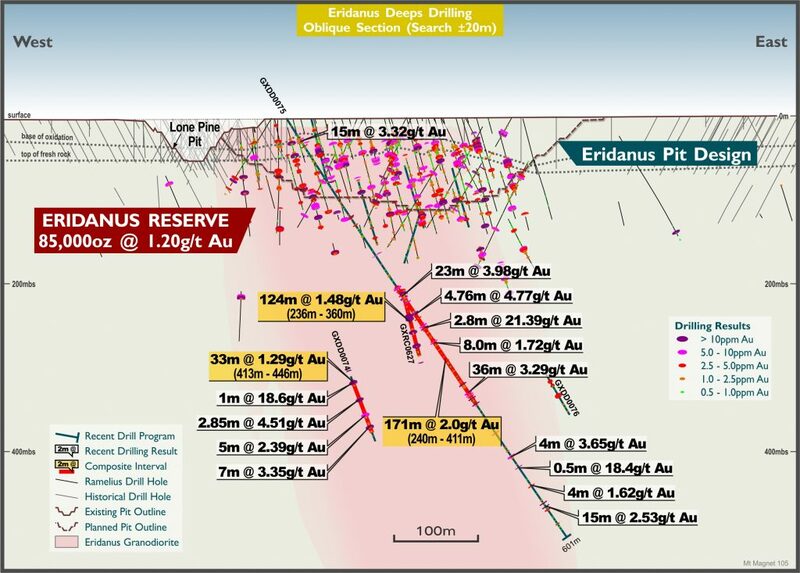 The composited intervals are encouraging as the demonstrate the overall continuity of the broader stockwork related gold mineralisation hosted within the Eridanus Granodiorite but they do contain multiple zones of sub 1.0 g/t Au material.